Nickelodeon’s hard at work fueling the fires of nostalgia at Comic-Con this week: Hot on the heels of new footage for the Rocko’s Modern Life movie, Static Cling, yesterday, the kids’ channel has debuted a new teaser for the long-anticipated Hey Arnold! follow-up, The Jungle Movie. As with so many episodes of the Nicktoon classic, the promo centers on one of Gerald’s urban legends. 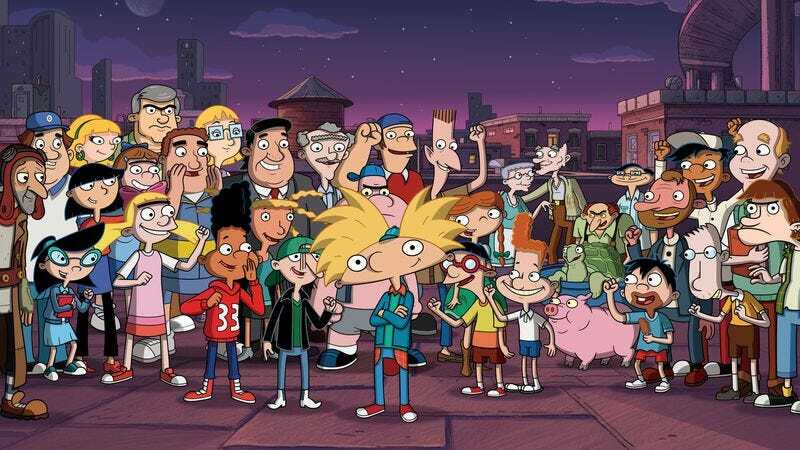 But rather than focusing on giant fish, stoop kids, or pigeon men, the subject is old Football Head himself, with all the show’s characters coming together to pay tribute to their pure-hearted hero. The resulting video—which also gives fans a chance to get used to the show’s new voice cast, including Mason Vale Cotton as Arnold, and Benjamin “Lil’ P-Nut” Flores, Jr. as Gerald—is a sweet little love letter to Arnold, the people around him, and the world they all inhabit, just in time to build up enthusiasm for The Jungle Movie’s November 2017 release.